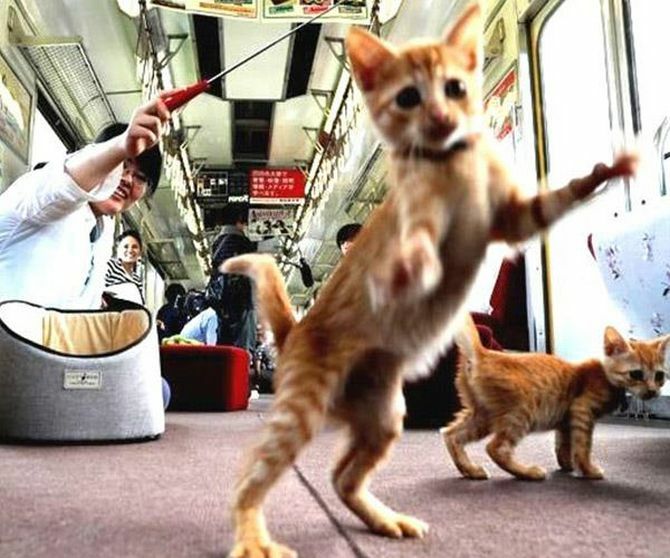 In order to raise awareness about the increasing number of stray cats, a Japanese NGO has teamed up with a local railway operator to let 30 cats roam freely on a train at an event. 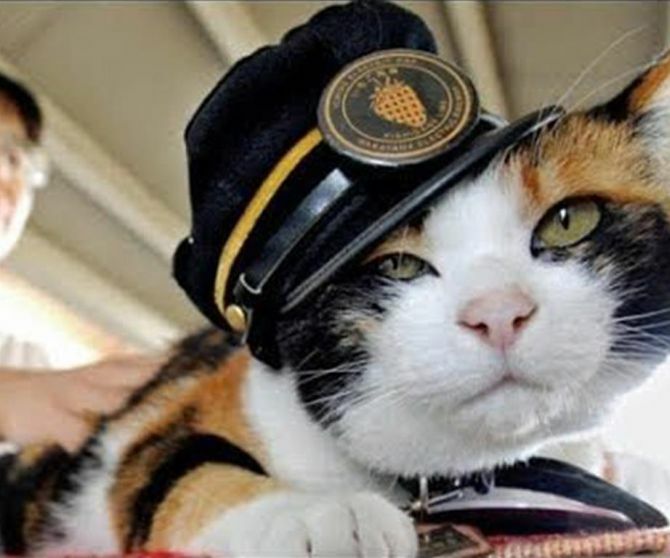 Local passengers in Ogaki in central Japan were allowed to interact with their adorable feline companions on a moving cat train. 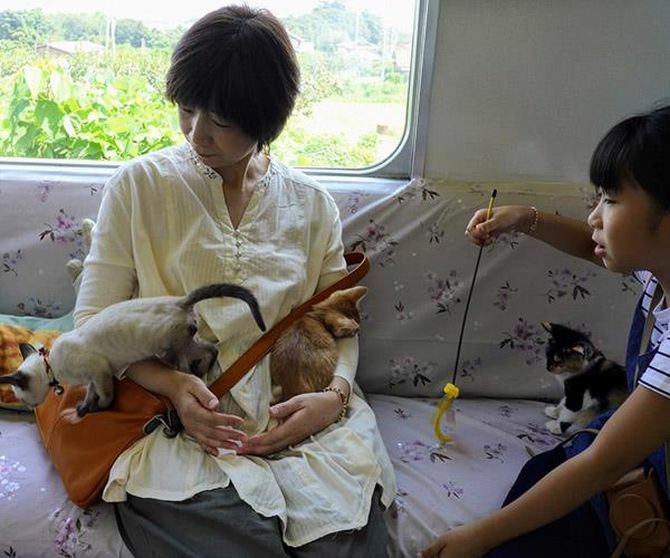 According to a passenger, Mikiko Hayashi, who also owns two cats that were strays, this event is an effective way to raise awareness of stray cats and help them rescue from the poor condition they live in. Kyoko Suzuno, another passenger who owns cats, traveled from Tokyo just to attend the event. 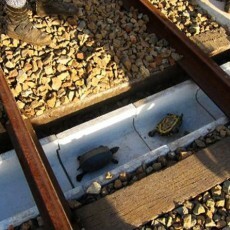 This special event was hosted by Yoro Railway Co Ltd and Kitten Cafe Sanctuary. 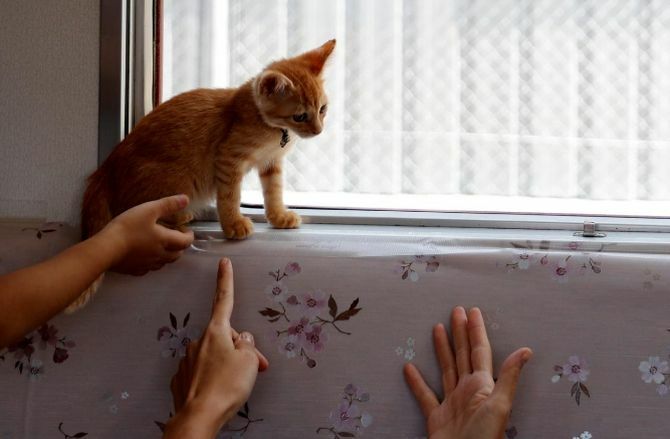 As per the statistics, the number of cats in Japan admitted to shelters has dropped by around 70-percent from 237,246 in 2004 to 72,624 in 2016. Even the number of cats being culled has dropped significantly from 238,929 in 2004 to 45,574 in 2016. Although the number of cats admitted to shelters and culled has dropped over recent years, these people are aiming for no culling of cats at all. We applaud them for their amazing initiative to help strays get a better home and life. Awareness About Stray Cats, Cat Train, Cats, Japan Cat Train, Japanese Cat Train, Japanese NGO, Japanese Railway, Stray Cats, Yoro Railway Co Ltd. and Kitten Cafe Sanctuary.